October 2014, All Campuses – This October, American Institute students and staff spent the month fundraising to support the fight against Breast Cancer. One in eight women will be diagnosed with Breast Cancer in their lifetime according to National Breast Cancer Foundation, and many of the American Institute family have been personally impacted by the disease. Our campuses raised awareness by wearing pink clothes and as much pink flair they could find, and gathered donations with bake sales and beauty pageants. 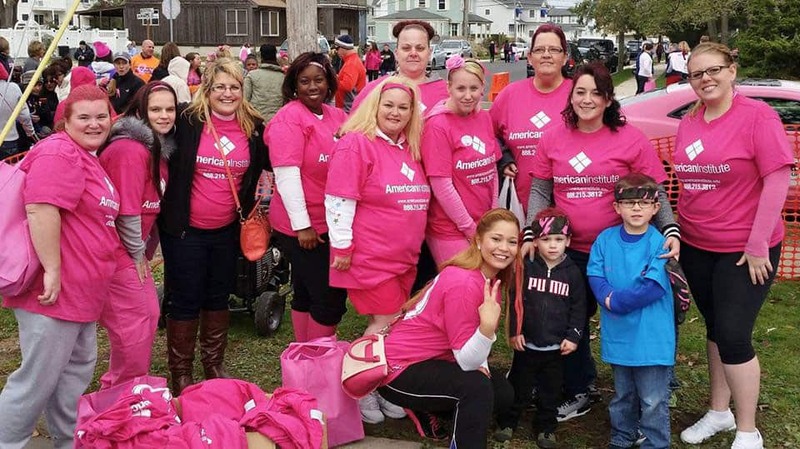 Clifton and Toms River teams also participated in the Making Strides Against Breast Cancer walks in their communities. 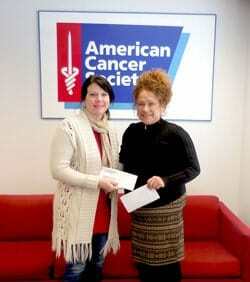 Overall, American Institute teams were able to raise over $500 in donations to the American Cancer Society for this great cause through their efforts, and look forward to raising money again next year as the pursuit for a cure continues.